These Parmesan crusted pork chops are one of my favorite easy recipes. I mixed the Parmesan cheese into my breading for the most amazing coating. Let’s get cooking! Start by mixing up your breading and pouring it onto a plate. The more cheese the better in my books! 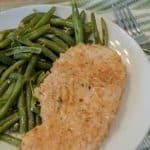 Parmesan works great for breading because it still gives your pork chops a crunch. 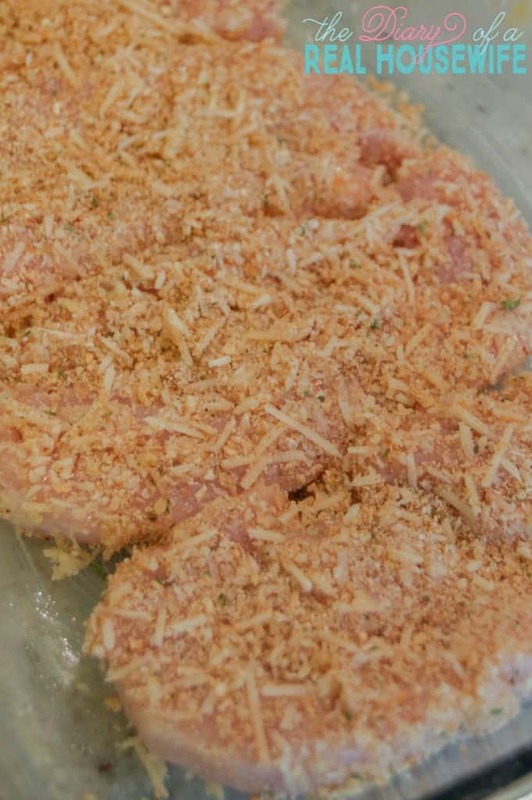 Coat every pork chop in your breading then place them in a prepared baking dish. Your baking time will depend on the thickness of your chop. I cooked mine closer to 30 minutes but would consider mine a thinner cut. Add 5 minutes at a time checking the temperature until they are cooked. I served mine with my Parmesan Garlic Skillet Green Beans and Cheesy Potato Casserole. Need a perfect weeknight dinner idea that's also comforting? 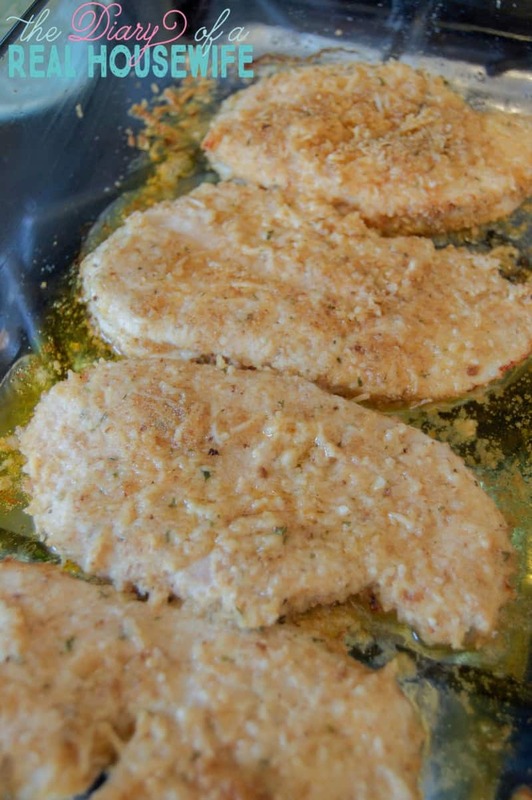 Our Parmesan Crusted Pork Chops are ones that the whole family will love. Preheat your oven to 375. Prepare a baking dish with cooking spray and set aside. 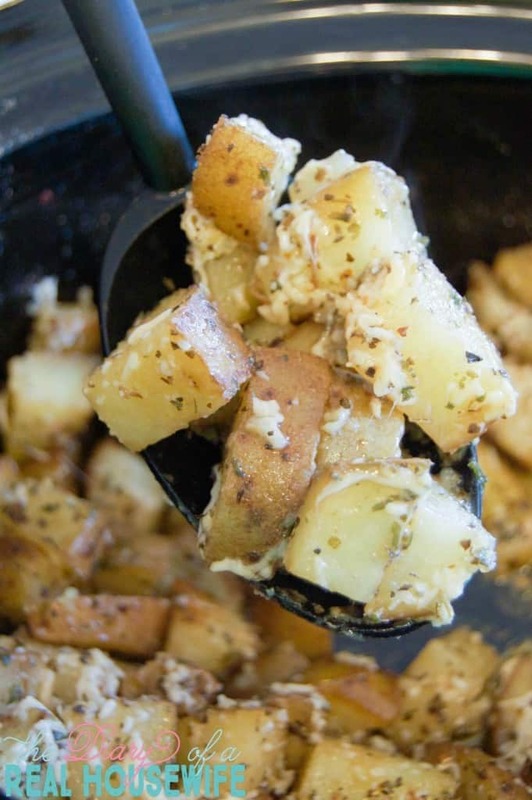 Mix together grated Parmesan cheese, breadcrumbs, and garlic powder. Pour your breading onto a plate. Place pork chop onto the plate and coat with breading. Do this for each pork chop then place them in your prepared baking dish. Bake for 30-35 minuted (timing will depend on the thickness of your chop). I served mine with green beans and potatoes.